Hey, everyone! The kids are all tucked in and I wanted to hop on and share some feedback on a game I was able to try out. Are you interested in hearing about it? Good! The game in question is The Healing Blade from Nerdcore Learning, who were kind enough to provide a review copy when requested. I think you'll find the game fascinating; I do. Want to know why? Read on! The Healing Blade is a game about battling infectious diseases. Yes, you read that right. It is a two player game where one side plays the Lord of Pestilence (the diseases) and another plays the Apothecary Healers (the medicinal agents for countering the diseases). It was developed by two medical doctors who also happen to be gamers, Francis Kong and Arun Mathews. From what I've read, it is growing in popularity with medical students. When I first heard about this, the first thing I thought of was an academic paper my wife had ran across and told me about by Richard Steinman and Mary Blastos called "A trading-card game teaching about host defence" from 2002. The paper concluded concluded that the game was super-effective for teaching the concepts. The two are unrelated, to my knowledge, but share the same conceptual space. Both the game in the paper and The Healing Blade are games... that teach. But on to this game. It's a beautiful game. It has high-quality components, and great art. There are 20 green glass beads included to track the energy resource used, ATP (adenosine triphosphate). Each player has a full-color playmat. And most of the 90 cards have unique art. The art is definitely worth mentioning here... it would definitely hold its own against Magic: The Gathering art. Gorgeous illustratiuons. Altogether, a very impressive set of components. And then... the cards. 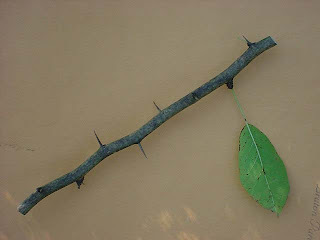 Okay, here is where the diseases come in. Each Lord of Pestilence card has the full scientific name of the disease (Streptococcus pneumoniae or Helicobacter pylori, as examples), its abbreviated common name (S. pneumoniae, H. pylori) and a fantasy-style piece of art that represents it, plus flavortext that puts a magical spin on its real-world effect. Each Apothecary Healer card has the name of a medicine (ie, Doxycyclene) and its own art and flavortext. Aside from a small font, they are very well put together. As for gameplay... let's say that this was the funnest study session I've ever had on infectious diseases. Which is to say that as a game, the mechanics do leave a little to be desired. The rules are pretty concise and simple, but in playing we found a couple situations not covered in the rules. For instance, as the Lord of Pestilence, I found my hand of cards clogged with high-cost diseases that I was unable to play. The result was that my Apothecary Healer opponent was able to build up and have a healer combatant that could counter most diseases I could play. It could have just been a bad run, and I noticed on their site a rules revision is in progress. So... the current gameplay isn't tight, mechanics-wise... but as I see it, that's not an issue. Because mechanics are not the point. What this game represents is a great step in the right direction for games that teach. If I were a medical student, I would absolutely love this game. This beats the heck out of a dry textbook. Granted, it doesn't replace the textbook, but it is a great supplement that presents the material in a way that activates different parts of the brain. This would be a great supplement to a class on pathogens. It slaps a fun theme on the subject of infectious diseases and how to fight them, and runs with it. I hands-down recommend this for any med student out there. For gamers? Not so much. But keep your eye out: the next rules revision may very well put this mechanically closer to the games we play just for fun. I suspect we may start seeing more hobby-quality games whose primary purpose is to help us learn. And I like that! Ok folks, confession time. Remember a while back when I wrote about Chore Wars and implementing games into real life tasks… well, here’s our story. We signed up for an account and then got completely overwhelmed by the variety of options and trying to balance the quests and rewards. Loved the principle, but felt like we needed a complex spreadsheet to set up the game and figure out how much things should be worth and what it would all mean for us. The default list of quests didn’t really apply to the things we wanted to do, and after a couple of hour-long discussions about it we ended up doing… nothing. Hmm. Enter Epic Win. Epic Win is a to-do list app for the iPhone/iPad. It’s simple and elegant and EXACTLY what I needed. You pick a character, enter some to-do’s, and you’re off on a grand adventure. When you enter a task, you select which attribute it will be associated with; strength for physical jobs, stamina for jobs that require some endurance, intellect for brain work, social for things dealing with people, and spirit for things that increase your well-being or help out someone else. You also select how much experience it will be worth, ranging from 50-300 points. You can easily do things like set tasks for specific days, set alarms, and have them repeat when desired. The whole interface is slick and simple. As you go through your day you can log your completed quests by holding down the exp symbol, and you get a satisfying quick animation and sound effect. In addition, your character levels up and gains stats based upon the attribute associated with the quests you complete. Complete a lot of manual tasks and your avatar will gain strength, homework and paying bills and your character will gain intellect. Completing quests also moves you along a map, gains you some gold, and can result in a piece of random loot when you get to certain places on the map. Today's to-do list.. what's left of it! ﻿The reason this works for me is that it helps me to organize my goals, and feel a small (but important) sense of accomplishment and achievement when I finish something. I’m curious what the next “prize” will be, and feel proud that my intellect has gone up because I finished all my homework. I find myself doing “just one more” little job around the house to see if I can level up. Since it’s just my own personal game, I don’t have to worry if things are balanced or fair. If I feel like taking out the trash at the end of the day is a feat of epic strength worth 300 exp, then so be it. It’s a simple way for me to incentivize the little things in my life. I like looking over my “beaten quests” for the day and realizing how much I accomplished rather than looking around seeing how much there still is to do. I’ve managed to make time for playing guitar simply because it was on the list as a quest and therefore seemed important enough to do. Randy started playing Epic Win too and has been spotted doing push-ups and extra chores just to get a little more experience points before bed. We’re focusing more on things that are important for our well-being, and having some fun doing it. It basically boils down to a stylish to-do list, but for me it gave a much needed dash of flair and fantasy to the hum-drum tasks of ordinary life. We found something that works for us, did you? We’d love to hear if you gave any thought to the challenge, and how you fared. Any game ideas or cool programs/apps/stories? Leave us some comments!! One of our recent acquisitions is 51st State, a card game from Toy Vault based in the Neuroshima world (like Neuroshima Hex). There has been quite a bit of buzz about this one, often with it being compared to Race for the Galaxy. In fact, many claim it will effectively replace Race for the Galaxy in your collection. I want to share how we're feeling about the game after a handful of sessions under our belts. For those of you not familiar with the Neuroshima world, it is a post-apocalypic North America with various factions vying for power. It was originally based on the Polish roleplaying game Neuroshima. The designer of 51st State, Ignacy Trzewiczek, is also one of the designers of both the Neuroshima roleplaying game and Neuroshima Hex. For those of you familiar with Fallout, what I've seen and read about it seems a lot like the world depicted in that series of videogames. It's an interesting setting, and the art of the cards does a great job of conveying the post-apocalyptic theme. The rules of the game are not too complex, though I must indicate that the rulebook isn't that great. It meanders a bit, and some things are not referred to throughout but not explained until the very end. That being said, a couple reads and look at some online resources helped us get started. It starts with players selecting cards from several set out at the beginning of the turn. After card selction, players earn an income and then take turn executing actions. Actions can be playing a location (more on this later), using a production location with a worker, playing a leader, rebuilding a location or a couple other minor actions. Play continues until all players have passed. For the most part, gameplay is multiplayer solitaire, much like Race for the Galaxy, or even Dominion. Most of the cards you'll see are locations, and locations are very interesting in this game. Each location may be played in one of three ways, each with a color associated with it. The most basic function is white, and that is putting the card in your play area as a location; doing this can derive one of several benefits, such as giving an income of a resource, or being able to produce victory points or having a trait that stays in effect. Some are production locations that you, or sometimes an opponent, may play a worker on to get its benefit. Another option is to make a deal, which is the blue action. This will give you a modest income of its resource (or sometimes a card or victory points) each turn. The final action, denoted as red, is to conquer the location. This will yield a one-time windfall of resources, cards or victory points. This is a definite strength of the game. Each time you look at a card, you have to decide how you want to play it. It's a very interesting tactical consideration, and very thematic to the world. Each player takes on the role of one of the world's factions. 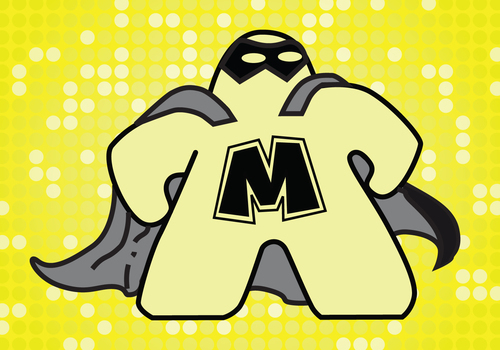 There are four: Mutants, New York, Appalachian Federation and the Merchant's Guild. Each faction is trying top establish dominance by controlling areas. They each play a little different. The differences are not huge, but somewhat thematic. This is reflected in how they spend resources to accomplish the three basic actions for dealing with a location, and income they receive in the resources present in the game: scrap, building materials, weapons and fuel. As can be expected, each has an advantage towards one of the basic location actions. I have to say I've been enjoying this game. Rulebook woes aside, it's a great game. There is certainly a bit of randomness with the limited card availability per turn, but the cards seem balanced enough that you won't have a situation where you need to fish for cards to implement your chosen strategy. It has enough complexity to be interesting, without dictating a dominant strategy.The stated playing time is 40-90 minutes, and is accurate. In an earlier blog post I talked about the "sweet spot" for games in regard to fun versus time spent, and I think this game does a good job hitting it. 51st State gets a solid recommendation from me. I encourage you to give it a try! Have you entered our Say Anything Family Giveaway? There's still time left! Check it out here: Say Anything Family Giveaway! This week Katie and I got a chance to check out the Nintendo 3DS. As many of you know, this new device sports the ability to play 3D games without glasses. Unfortunately, we discovered some warnings on the box and in the accompanying literature that apparently 3D might be "bad" for young kids. The information I could find basically says prolonged viewing may interfere with the development of healthy eye-sight, and Nintendo is claiming the 3D features of the 3DS should only be used by kids over age 7. Fair enough, it seems like a standard legal disclaimer and probably decent advice. For anyone concerned, the system sports a whole host of parental controls, including the ability to password lock specific features (such as 3D viewing). We decided we weren't too worried about it, but we would make sure to limit 3D time for Katie. I explained it to her and she was in agreement, she suggested maybe only 10 minutes a day. We turned on the password protected 3D viewing just in case and were ready to play! Our test subjects were the built-in software that comes with the system and the game Rayman 3D. The first thing we did was try out the preinstalled game Face Raiders. Within minutes Katie and I were laughing so hard as we sat on our kitchen floor taking turns throwing balls at the 3D faces flying all over the room. This game is a 3D augmented reality game, and what that means is it uses the cameras on the 3DS to recreate in the game the actual physical environment you are in. In the case of Face Raiders, you take a picture of a face, and the game turns it into a 3D flying helmeted bad guy that is cruising around whatever room you are in, in this case we were being attacked by hosts of Katie-faced 3D figures in our kitchen. It's hard to explain how cool this is in words, but it was definitely a neat experience. The 3DS uses a built in accelerometer and you are basically swerving all over with the device and knocking holes in the virtual mockup of your environment. Jack came running in and took a look at the screen and said "Oh no, broke our kitchen!" then promptly ran behind the device, checked out the cabinets, came back and said "Coooool!! I turn?". I do wish it didn't make you turn around so much when fighting though. It was fine on the kitchen floor, but when I tried playing this game in the car I was simultaneously impressed at how fun it was to see the real-world environments (the gas station, the street, and Randy driving!) and also irritated that it kept having me be attacked from behind, which required physically turning around to get those enemies. It diminshed the otherwise crazy-fun experience into a neck craining and frustrating one. I didn't mind enemies in about a 180 degree arc in front of me, but anything outside that range seem like it would only be fun if you were standing up playing... which I rarely am. Another complaint is that it was very hard for us to get the camera-images to line up just right with the guide marks, and the end result was a weirdly distorted 3D effect on the faces. Low-lighting further increases the challenge, and apparently our house is pretty dimly lit. Overall though, Face Raiders is pure fun. Another one of those zany nintendo-style ideas that is always pushing video games further. I loved the laugh-out-loud silliness and fun factor, but I think it was the weird idea, the use of augmented reality, and smooth accelerometer controls that really made it fun more than the 3D effect. We tried to play around with the AR cards included with the game, but apparently the lighting in our house made it difficult for the cameras to focus on the cards, and it seemed like we really needed to do it in a brightly lit room where we could walk around the card. Not my ideal playing conditions, so I guess I just gave up on it. Looks like that had some potential to be fun and cool, but the limitations on it made it seem so-so appealing to me. Not much to say here. I liked it when the butterflies flew out towards me. The rest of the game... not so much fun. I don't think the 3D effect made it worth the timewarp back to the early 90's when blocky "3D" platformers were all the rage. Clunky controls and camera angles.. etc. It wasn't a "wow"-me title. If you liked the game the first time around, it might be fun to revisit with the new effects, but after a few minutes I was completely checked out (and more than a little nauseous.). So, is the 3D awesome and worth the hefty price tag?? In my opinion, no. At least not yet. The launch lineup of games doesn't include any of the big system-selling titles that I would expect (Mario, Zelda, and their friends) and is overall not that impressive to me. Additionally, as someone who is prone to migraines I found the 3D effect to be somewhat nasuea and headache inducing. The 3D effects are only viewable from an optimal distance and angle. In other words, if you don't hold the device precisely at the "right" location, you'll be seeing blurry double-takes as if you were at a 3D movie with no glasses on. At least that's how it was to me. Now the thing I LOVE about a handheld system is portability of playing. I like to play in the car or lounging on the couch or late at night cuddled up in my bed. I constantly found myself having to adjust from my comfortable position to a more rigid one in order to properly view the 3D effects. Even when I get it to the optimal range I'm still seeing small flickers, so if you're one of those people who is sensitive to the flickering of flourescent lights (like I am) you might experience a bit of that with the 3DS as well. Overall, the 3D effect was kinda neat when I got it to work right, providing a good depth of field 3D effect without glasses and an occasional 3D pop-out effect. Pretty impressive really, if you're willing and able to hold it just right. Honestly folks, it's a limited viewable range... no looking over someone's shoulder or holding the device even a fraction of an inch off center. The 3D slider allows for some adjustment of the depth, and you can turn it off at any time. Some exciting upcoming features such as streaming 3D movies from Netflix sound like they might be cool, but I'm worried about the comfort and practicality of viewing a 3D movie on a 3 inch screen at approximately 14 inches from your face in exactly a straight line. The thumb stick feels pretty fluid and comfortable. Seems like a decent improvement. 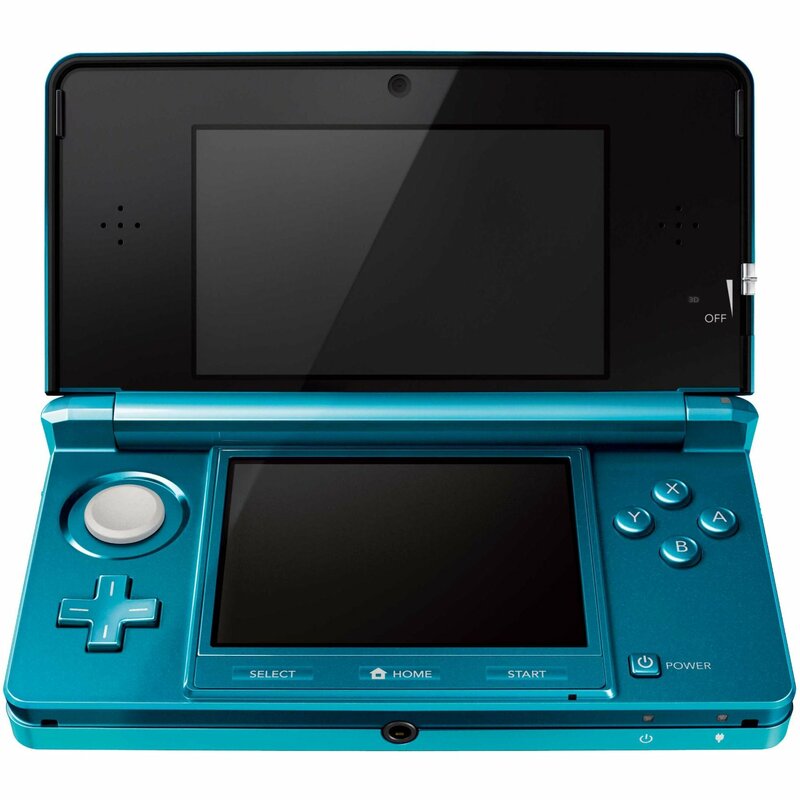 The device plays DS games, so that backwards compatability is always appreciated. 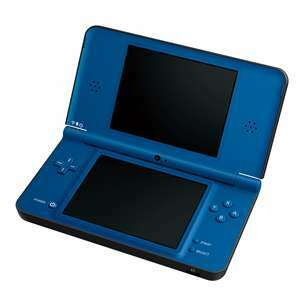 My biggest disappointment is that when playing DS titles, the viewable screen area was smaller than the DSi. Not by a lot, but enough to notice. It was like taking a step back. After exploring the 3D features a little we ended up just playing our Pokemon Black/White games, and I found myself really wanting to just play on my DSi. Admittedly, I am a bit of a Nintendo fangirl. I think I've owned every single Nintendo console including practically every model of each of the handhelds. I've had at least one Gameboy, Gameboy Color, Gameboy Pocket, Gameboy Advance, Gameboy Advance SP, DS phat, DS lite, DSi... did I miss any? As such, it pains me a little to say this... my final verdict on the 3DS is to wait it out. I'm sure there will be a new-improved version in a year or so, and/or a price drop. Once there's a decent game lineup and all features are fully functional I think this system has some potential, but right now it's just seems like kind of a "neat trick". The end of the story... we traded the 3DS for a DSi XL and I'm totally happy about it. 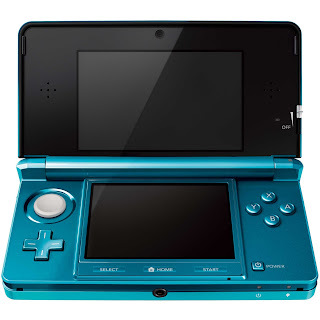 Have any questions, or your own thoughts on the 3DS? Leave a comment! Hey, all! We here at Growing Up Gamers are very excited; we're having our first giveaway! The wonderful people at North Star Games are providing a copy of Say Anything Family, the latest game by designer Dominic Crapuchettes (designer of Wits & Wagers and Wits & Wagers Family)! 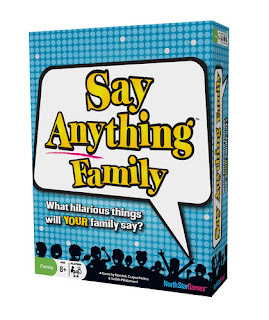 The game is a family-oriented version of their popular Say Anything adult party game, and features questions like "Which celebrity would make the worst babysitter?" and "What magical power would be the coolest to have?". That sounds like a ton of laughs to me! I, for one, cannot wait to try this out. This sounds like a great game game to pull out after dinner to entertain the whole family. So... altogether, that's a total of eleven possible entries; make sure that's all in the email! Don't worry, though... email addresses will only be used to announce the winner of this contest; we will not share it, sell it or spam you. We will accept entries until 12pm PST Wednesday, April 20th; the winner will be chosen at random and the results will be posted on or by Friday, April 22nd. This contest is open to residents of the US and Canada only. So... good luck, everyone! We here at Growing up Gamers are excited to be able to offer you this opportunity! Here's a big shout-out to the great people at North Star Games: Thank You! Update: The entries are all in, and we have a winner! Congratulations to Lance Coffee, winner of our first giveaway! Thanks to everyone who entered! Hello, all! Today I'm reviewing a game called Stick. It has apparently been around for awhile, so I'm a bit late reviewing this. It has been very popular with the younger crowd for years. I've recently had the opportunity to play it and wanted to share my thoughts. Okay, first I want to talk about the components. Well, component. You can't beat wooden components. I don't have anything against plastic per se, but it just feels like its higher quality. That's just my personal preference. Anyway, apparently there is not uniformity in the pieces, though I suspect this might just have to do with different editions of the game. As for gameplay, there is a lot of free-form parts of this game. It encourages you to establish your own narrative (both a pro and a con; more on theme later). 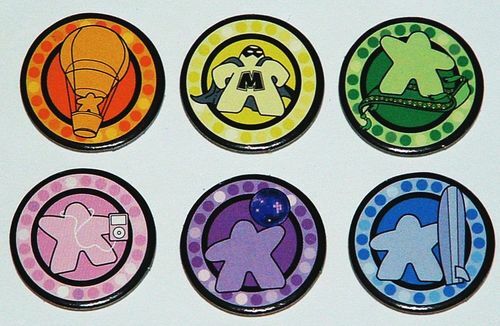 Most iterations require a bit of space, so expect to not be sitting around your game table for this one. I'm a little put off by the aparent lack of either written rules or a decent FAQ. Honestly, I can't see where the designer was going with this. For that matter, I'm not sure who the designer is, which is just as well, because I wouldn't want my name associated with the game, either. Although, to give credit where credit is due, the component itself seems to be a pretty effective tool for arbitrating rules disputes. And then we get to theme. It's a fairly standard Eurogame trend to have little or no theme, and the same goes for this one. The game itself seems to encourage establishing your own theme session to session, though. In the two sessions I've played, the first was themed "Bad Pirates vs. Ninja Monsters". I had quite a bit of fun with this one. The theme of the second session, "Knights", seemed thin by comparison. So take that as you will; if theme is important to you, this might not be the game you're looking for. Or it might be perfect. To wrap up... would I play it again? Yes. Definitely not on my top ten, however. It just lacks the hallmarks of a decent strategy game. In all honesty, I would rather play Settlers or something. I admit, though, I might not have given this game the chance to shine. My next session may go better, since the second one I played, "Knights", devolved into a rules dispute that required a quick exit from the playground. Played this one? Let us know what you think about it!